Disclosure and quick heads up – Some of the links below are affiliate links, meaning, at no additional cost to you, I will earn a small commission if you click through and make a purchase. For a long time, I had feared growing a really cool moustache. Now, I just love my Handlebar Moustache. I've had mine for about five months now. I started to grow it in November, for Movember of course, but then kept it on. I love having this beast above my lip. I'm bringing life back to the saying "A Mo should be for life, not just Movember". 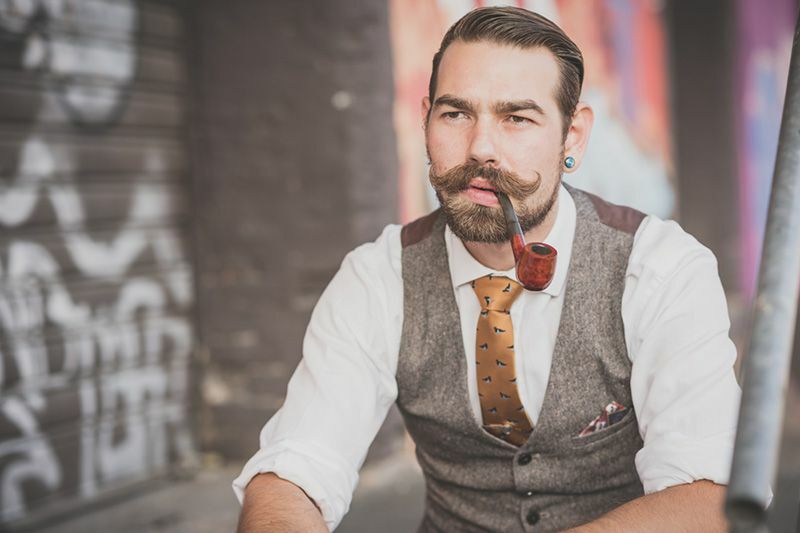 It's not that common in the UK to grow a Moustache, it's more popular over in the US, but I'm seeing a massive trend in lads here in the UK growing that Twisted Handlebar Moustache. For me, my moustache is an essential part of my look, everywhere I go I get a lot of attention, especially when it's fully groomed with twisted curls. I'm constantly getting asked questions like "How can I grow a mo like that?" or "That moustache is awesome, how do you get it so curly?". I'm going to take you, step by step through how to grow a good handlebar moustache. So what is the Handlebar Moustache? Now that's a good question. 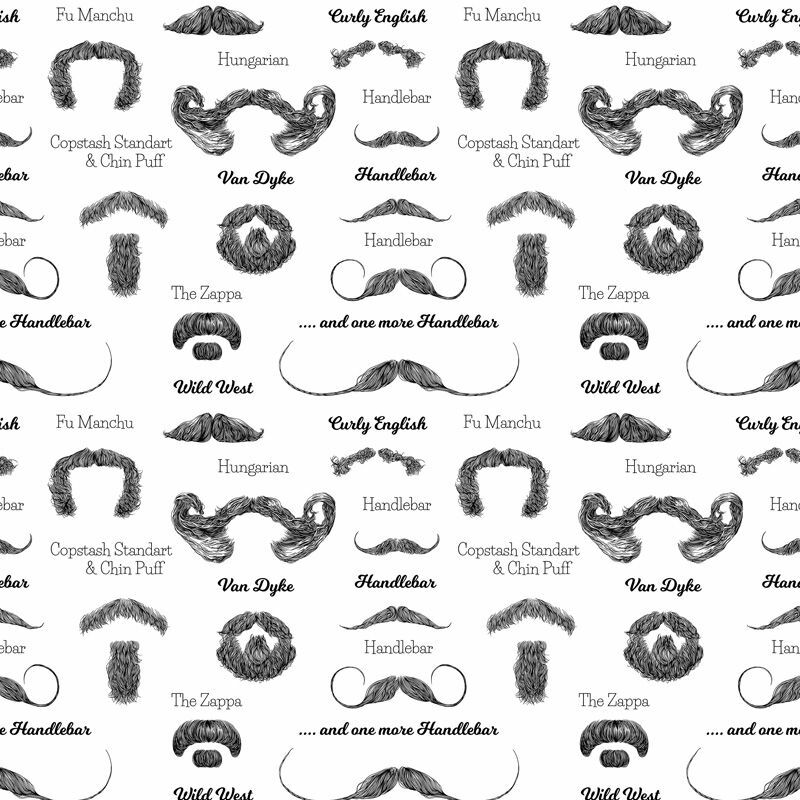 Well, the Handlebar Moustache is the most popular, most recognisable style out there. As with beards, there are loads of different moustache (or mustache, depending on where you are in the world) styles, but the classic Handlebar is, in my opinion, the best. But, everyone has their own tastes, and this is just mine. The name says it all. The ends of the moustache curl which gives you that handlebar look, just like on a motorcycle. This style does require commitment, you have to keep it groomed as maintaining those cool curls takes some. effort. You need to ensure you have some good moustache wax, and a grooming routine to keep it looking sharp. The handlebar, If not groomed, can double up as a Fu Manchu Moustache, which is cool, but I like to keep mine with the handlebar, with those sweet big curls. I feel that it's very important to point out a very common misconception of the handlebar moustache. A lot of people confuse it with the Horseshoe, which is rocked by Hulk Hogan. I guess the term 'Handlebar' could be interpreted in both ways, but you just have to remember that a moustache doesn't involve hair on the cheek, which technically would be a goatee. Before we get into the nitty-gritty of how to grow a good handlebar moustache, let's take a look at some interesting facts. During a survey of 8,000 people, it was revealed that more than 25% of British women think the handlebar style is the sexiest of all moustaches. So lads, if you're looking to grow some facial hair, the handlebar gives you a better chance with the ladies. Apart from giving you 'some' advantages with the ladies, here are some of my other cool theories and reason you should grow the Twisted Moustache. Pocker face - The dazzling curls can prove to be great for distracting people. It can really add to your poker face. Talk of the room - You instantly look more distinctive with a handlebar moustache. You'll be the talk of the room. I was at a wedding recently, and a random stranger came up to me and said "Your moustache is awesome! How long did it take for you to grow it?" Influencer - Twisting your curls in a meeting can tend to swing people in your direction. So if you're looking for an influencing tool for your next budget request meeting, grow a handlebar moustache. So you're now pumped and ready to grow and get your twist on. It's the best decision you'll make in a long time. I can tell you from experience that it's worth it. But, the journey to getting that beastly Mo is not an easy one. Be prepared for some tough times ahead. I've written articles about how to grow a beard, and that can be a challenge, but growing a moustache takes even more commitment. So let's man up, and get that Mo going. It's no different to anything that you need to grow, you need to have patience. As I said earlier, growing a moustache takes even more commitment than a beard. You need to let it grow. The biggest mistake guys make is get too impatient and start trimming hairs away. I can't stress this enough, but in order to grow a top handlebar moustache and become a member of our exclusive club, you need to resist all urges when it comes to trimming any hairs away from you Mo. Please listen to me when I say this. "If I don't trim it, then how do I keep the hairs away from my lips?" I'm not going to lie to you. It's going to annoy the S##t out of you, but you need to get through it. It's going to itch and it's going to tickle your lips. It's going to take at least 3 months before it will start to take shape, so man up and get through it. If you're not trimming or cutting your baby moustache, and you're getting through the pain, minor discomfort on your lips, then you're almost 50% there. There is a vital step you need to take in order to ease that discomfort, and also start to shape moustache into the handlebar style. You need to train it. Training your moustache is a very important step in this process. In order to start training your moustache, you need to ensure that you're brushing your moustache outwards from your inner lip, on each side. I tend to do this every day. What you will find is that your moustache hairs will start resembling a "Handlebar" look, and eventually, you'll stop getting those annoying hairs dropping over your top lip and the dreaded tickle. To help with the training, you need to ensure that you get some moustache wax to help with the training, and also keep your hairs in place and out of your top lip. There are a lot of moustache wax brands around, but you can find some great options on Amazon. Also, you should consider investing a good pair of grooming scissors and a comb. Amazon has a great selection of Kent combs, which are, in my opinion, the best.. The first two weeks are easy, the only thing you need to think about is not shaving at all. Now, if you're growing a beard with your moustache, then just letting it all grow at this stage is the best thing to do. But, even if you're planning to grow just the Moustache, I would advise that you still continue to grow the full beard with your moustache. 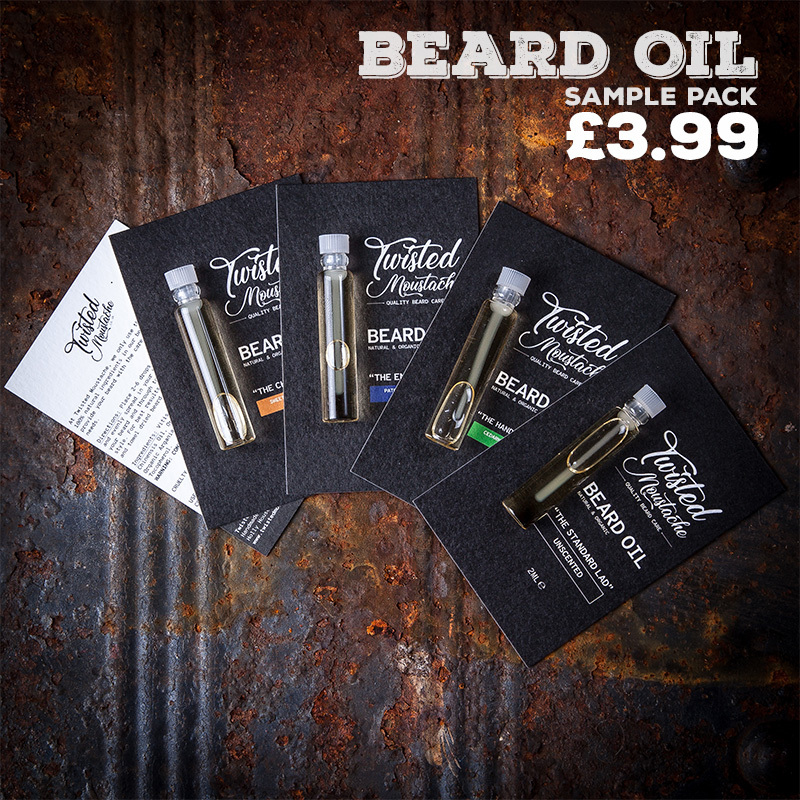 This allows you to grow some good length without your tache standing out like a saw thumb while it's growing. This a nice trick, which has worked really well for a few mates of mine, unless you're growing for Movember, in which case you'll need to go face commando. If you're planning on following my advice and growing the beard, then check out another of my articles, where you can learn about the top things to watch out for when growing a beard. Remember, it's all about patience, so just sit back, relax and let it grow. Don't trim it! After about three weeks, it's going to start getting annoying. You'll feel whiskers poking around your mouth and tickling your top lip. I'm not going to lie, it's the worst feeling. It really drove me up the wall! I would go as far as to say that it's even more annoying than the beard growing itch fest. The good news is that you can really tame this down by applying a really good moustache wax. As I mentioned earlier in the article, from about week two, you should be starting to train your moustache to allow it to start taking shape. The process of applying moustache wax also allows you to get rid of that poky whisker tickle. Always keep a small tin of moustache wax in your pocket. You can get small 15ml tins of moustache wax from Amazon. I always find that as you drink and eat you'll need to keep applying it often through the day. Also, keeping that tin in your pocket helps to heat the wax and soften it, which makes applying it so much easier. If it's cold and hard, you could end up with little lumps in your moustache, with an uneven application. Trust me, I learnt this the hard way. You should be well on your way to that stupendous handlebar moustache. If you took my advice from earlier and grew out your beard with your moustache so it didn't look out of place while growing, then after about six weeks, you can now start thinking about shaving off your beard. It's really up to you, and the style you're after. I personally love rocking my handlebar moustache with my full beard, but if you ask any purist, then they will insist that you need to go solo with the handlebar beast. If you ask me, it looks slick either way. Whatever you decide, make sure you're continuing to apply the wax and train the tache. After about a month, you should start to see the ends of the moustache start to curl. When applying your moustache wax, remember to start in the middle and push your moustache out and start to twist the ends. 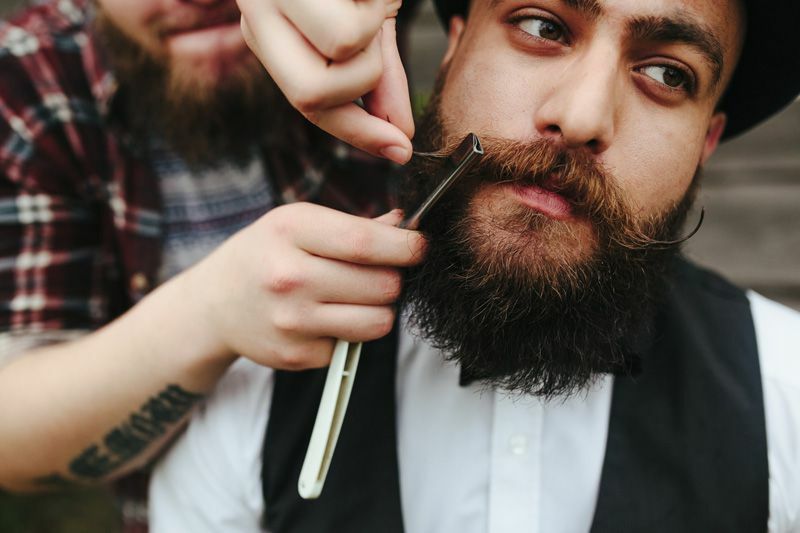 As well as keeping a tin of moustache wax on you, you should also consider a pocket comb. It's always good to have a dedicated pocket comb for the moustache only so you don't start combing wax into your beard. These Kent folding pocket combs from Amazon are nice. Be careful when trimming. I don't recommend you trim at all for the first six weeks, but after this time you might want to start trimming and shaping up your moustache. The moustache is a tricky area to trim. Check out my post on how to trim your moustache. If you must trim some of the stray hairs in the earlier weeks of your growth, then take extra care and always use a comb to brush through to ensure you have an even cut. I've said it before in another article - Exercise, have a good diet, rest and try to have a stress-free life. It goes without saying that exercise and a good clean diet can have had a massive effect on your weight, improve your blood circulation and more importantly, boost your testosterone levels. Did you know that higher testosterone levels can help with hair growth? A high protein diet is also a must for maintaining a good weight and also boosting testosterone levels. I use a good quality protein supplement to help with my protein intake. Optimum Nutrition Gold Standard Whey Protein Powder from Amazon is what I've recommended before, and I still insist it's the best protein powder available. 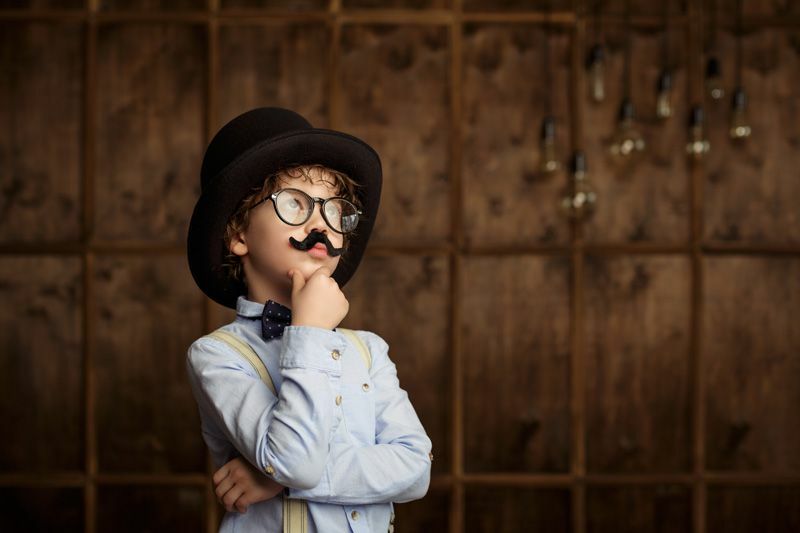 This can really help your moustache reach its potential, but genetics will ultimately determine how your moustache will grow. Should I wash my moustache? Yes, you should. If you're going to be using wax on a daily basis then you should be washing it every night with a good beard shampoo. Use a little beard oil on your moustache after washing it. I find that it helps to keep in nourished and give back some of the natural oils. What about other moustache styles? You must know by now that the handlebar isn't the only moustache look you can go far, but it is the most popular. There are loads of style to choose from. So I hope this article has helped and convinced you to grow a moustache. I must stress that I don't claim to be an expert on growing moustaches. This is purely my journey and research I’ve done for myself and others. I would love to hear your experiences with growing your moustache.